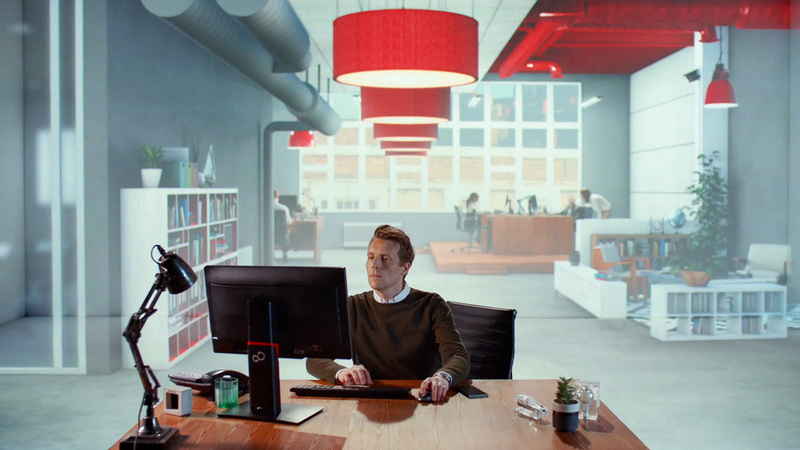 Along with the great team assembled at Found, we worked together to create this fantastic projection mapped spot for Fujitsu. I was brought in from an early stage to lock down the previs with director Mike Sharpe, and define the shot durations. From there on, I was involved with modeling and lighting the 'Office/Canteen' shots in the film. This was an exciting project drawing on techniques learnt on the 'Hiscox' project, whilst introducing new challenges in 'floating projections' on holo-gauze to ensure that all effects could be caught in-camera. Aside from grading, there was no post-production work on this film.